Today I am sharing a sweet little breakfast treat that will make your morning breakfast tastier and easier to put together. 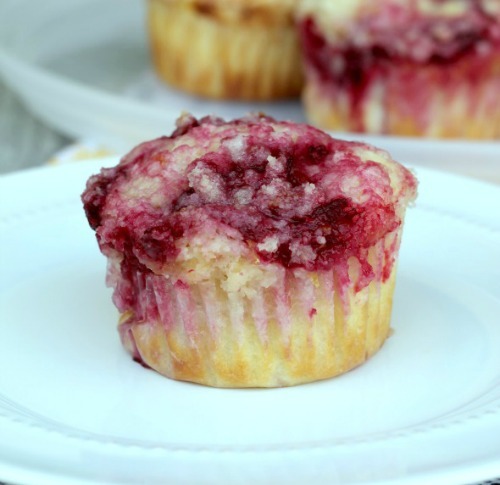 Just prepare these Raspberry Lemon Muffins over the weekend and You’ll have a grab and go breakfast for a couple days during the week. Good Monday morning! Are you ready for the coming week? What will you be doing this week? Working? Vacationing? Finals? I will be doing two of those activities; unfortunately, vacationing isn’t one of them. However, after Wednesday, I will be free of anything to do with school for a couple of weeks so I will have a partial vacation. A vacation from school but not work. Ah well. Vacation will come soon enough and I cannot wait! I think we will be going to Ft. Myers Beach again this year. I love the West Coast of Florida. It’s funny, I live on the East Coast of Florida now, and quite close to the beach, but I still go on vacation to a beach on the other side of the state. It’s a different atmosphere on the West Coast of Florida; an eclectic array of shops, bars and dining compared to that of the East Coast. Where will you be vacationing this year? Today I am sharing a sweet little breakfast treat that will make your morning breakfast tastier and easier to put together. 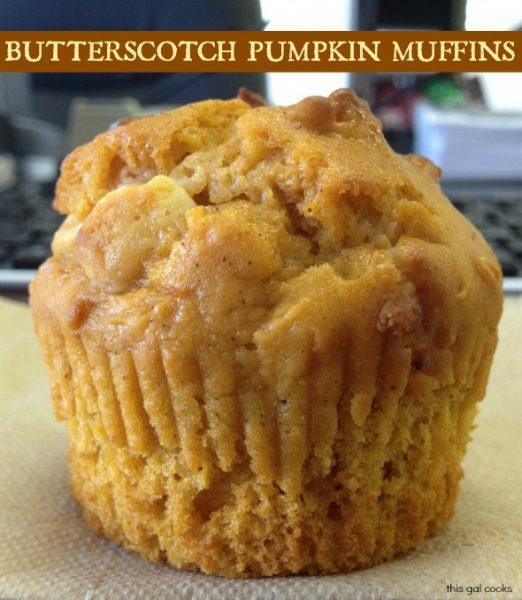 Just prepare these muffins over the weekend and You’ll have a grab and go breakfast for a couple days during the week. 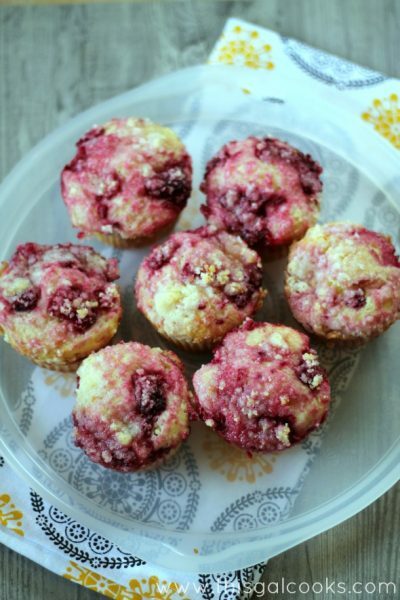 I used lemon yogurt in the dough and lemon zest in the crumb topping to give these raspberry muffins a hint of lemon. After all, lemon does pair well with raspberry. Think raspberry lemonade. Yum. I hope you enjoy this recipe! Frozen berries require longer baking than fresh berries. If using fresh berries, reduce the baking time to 15 - 18 minutes or until a toothpick inserted comes out clean. or with dry crumb. Raspberry lemon is one of my favorite combos! Definitely need to try making these. Oh I wish I had one of those right now!!! I am going to Fresno, California for vacation :) Don’t look so shocked, I used to live there and my friends are campaigning to get me to move back! I love raspberry lemonade, so I am sure that these will be awesome! 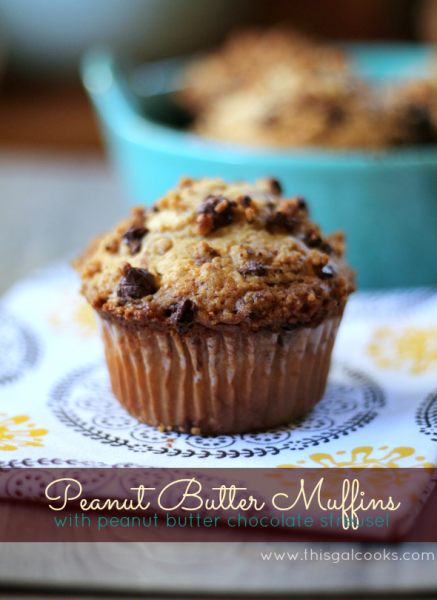 These sound amazing and they are so perfect for a warm, spring morning!! A perfect combination, Julie! You know I am a lemon lover, and raspberry, too! They look perfect! Pinning and thanks for sharing! 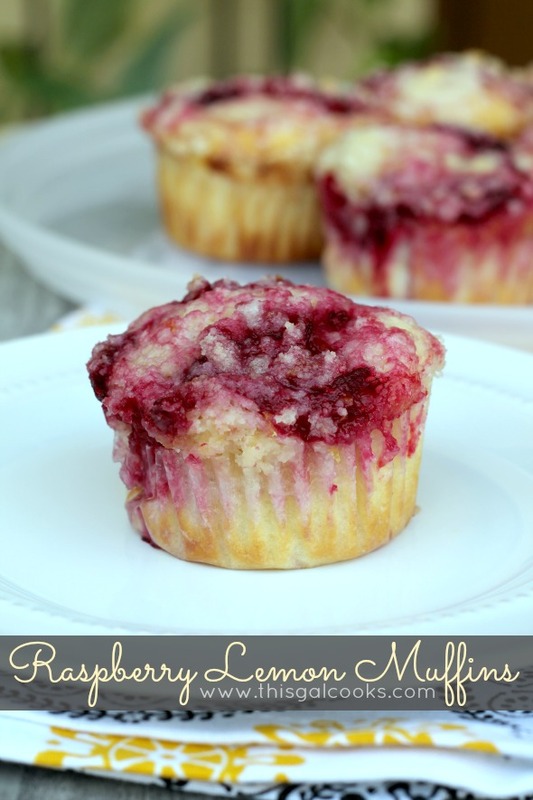 Raspberry and Lemon muffins!!! YUM!! I’ll need to make these. They sound so summery. Lord knows I need some summer in my life! I’m vacation in almost a month. Can’t wait!!! Oooo these sound amazing. Great combination! Mmmm! Raspberry and lemon? What a fantastic combination! Pinning! Makes 8 muffins, serves 9. Sounds SO yummy, I don’t think I’d want to be one of the people who has to share one!!! I have made them and they are amazing! I was able to make 12. They won’t last long! Thank you so much for the recipe. Those of you who have not tried this recipe yet shouldn’t wait to bake up a batch of them. They are wonderful!!! I got 10 muffins out of it and think I could have gotten 12. Pingback: Things I ♥ – Breakfast Edition | ChemGradBoom! Your muffin recipes always look so scrumptious! I love how you take close up pics of the muffins at the end. Aww, thank you so much, Jennifer! I really appreciate the compliment. Hope you have a wonderful evening! I just bake the raspberries lemon muffins and taste very good, but the muffins stick to the papercup liners in the bottom. What to do not to have the muffins stick to the papercup liners ? I would like to do the muffins again. I was quite looking forward to these. I don’t mind this recipe, but mine were far more like SCONES than muffins. Also, because it said 8 muffins I doubled the recipe (to freeze) and it made 18 large plus one single scone. What size muffin pan did you use? I would make this again but make them like scones, instead of muffins and add the raspberries to the batter (omitting the topping). Thank you so much for stopping by and letting me know that you made the muffins! I’m glad you enjoyed them. I like the idea of using the fresh berries and sprinkling a little sugar on top. That sounds really good! I bet the broiler gave the tops a nice crunch! experience excessive shedding, breakage and lost moisture. all wrinkles would be temporary in nature. These muffins look delicious! I have a 6 oz. container of raspberries to use, can I just use the whole container? Also, can I sub vanilla Greek yogurt for the lemon yogurt? That’s what I have on hand. Thank you! Yes, you could use the fresh raspberries in the recipe. You may need to reduce the baking time by about 5 minutes, though. Bake for 15 – 18 minutes, or until a toothpick comes out clean. You can also use vanilla Greek yogurt. If you want a stronger lemon flavor, add about a tsp of lemon zest to the batter in addition to the lemon zest used in the topping. Let me know if you have any other questions! Enjoy the recipe!